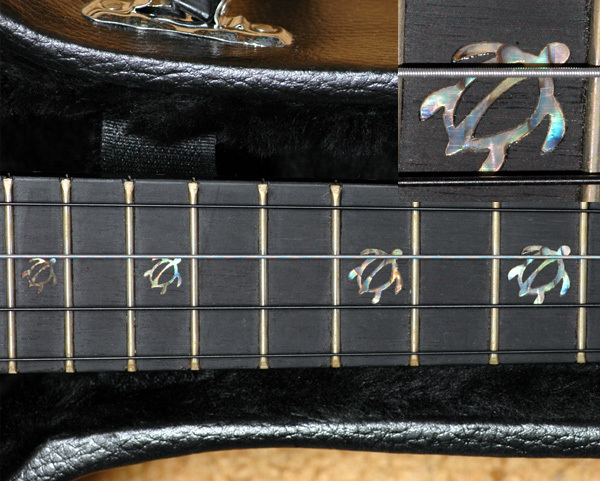 Four abalone turtles down the fret board. 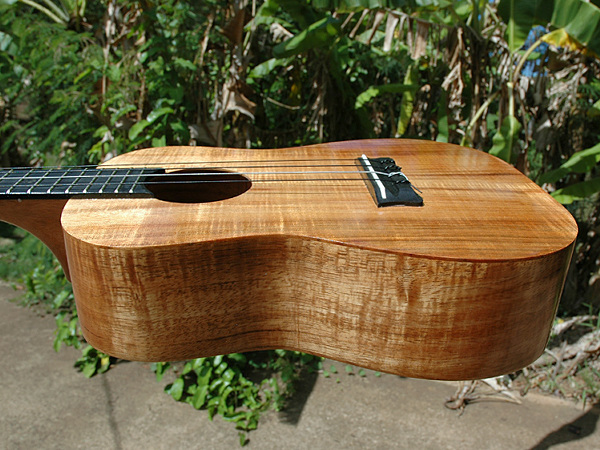 The turtles decrease in size. 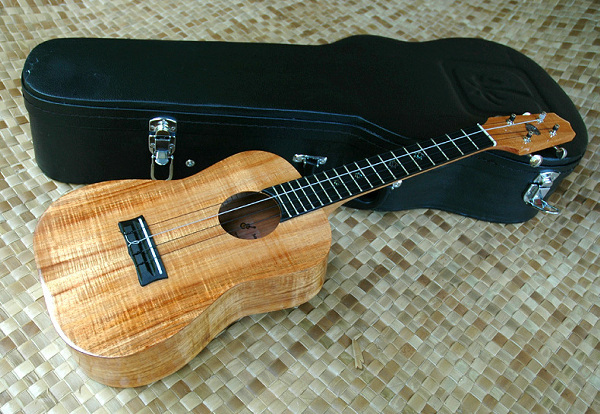 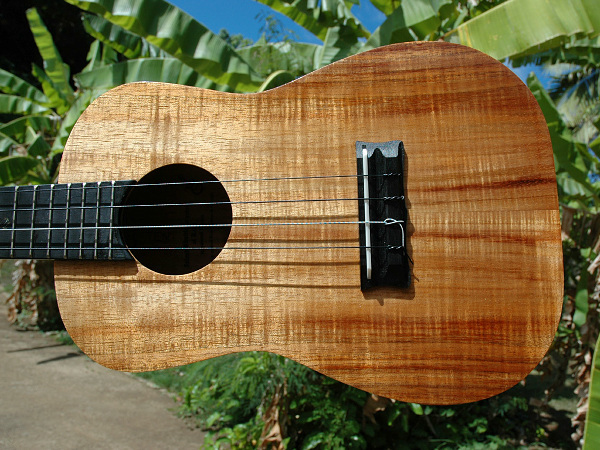 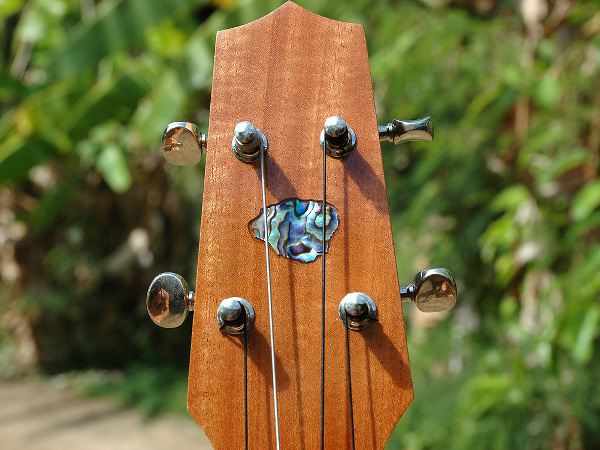 Specs- Frets : 18 / Strings : 4 / Curly : Full / Inlay : Kauai shape on Head, and Turtles on Fret Board.